Culinary delights begin with piri-piri king sized prawns. 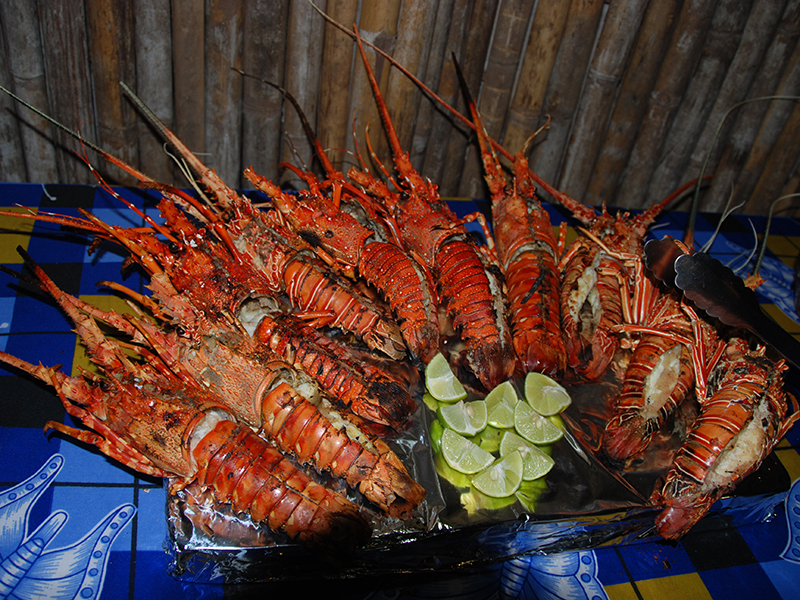 In general Mozambicans live off the fruits of the oceans, and season those fruits in a typical Portuguese style method.Crops such as cassava and cashew nuts and pãozinho, a Portuguese-style bread roll, were brought in by the Portuguese. The use of seasoning such as onions, bay leaves, garlic, fresh coriander, paprika, chilli peppers, red sweet peppers were introduced by the Portuguese. Prego rolls, rissois, espetada, pudim and the popular inteiro com piripiri, which is whole chicken in piri-piri sauce are all Portuguese dishes commonly eaten in present-day Mozambique. Wherever you stay in Mozambique, dining is generally glamorous affair, fuelled by grills on the beach, or more elaborate dishes under lantern light in cosy restaurants. You can also take the completely deserted island approach – alone with a shipwrecked picnic on some deserted beach. 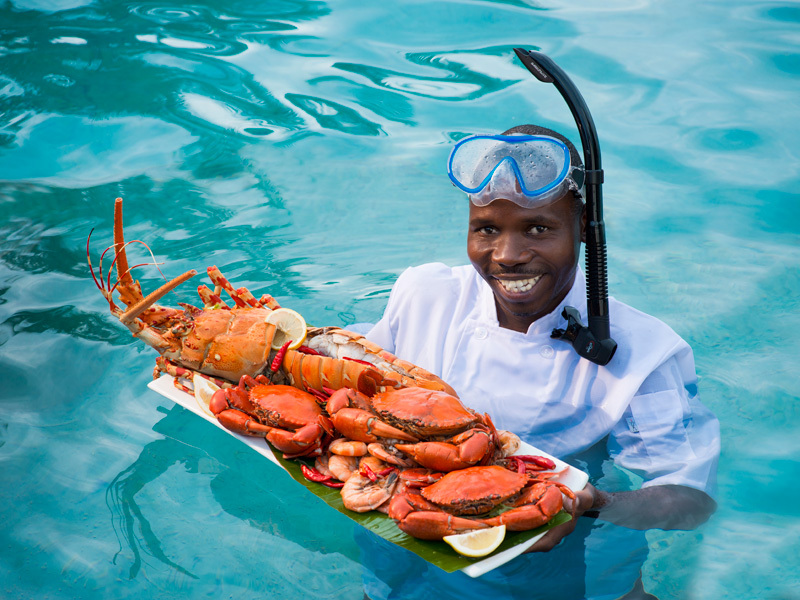 African culinary holidays are a combination of surf-fresh seafood and other tropical dishes. African culinary holidays also include traditional and indeginious foods. 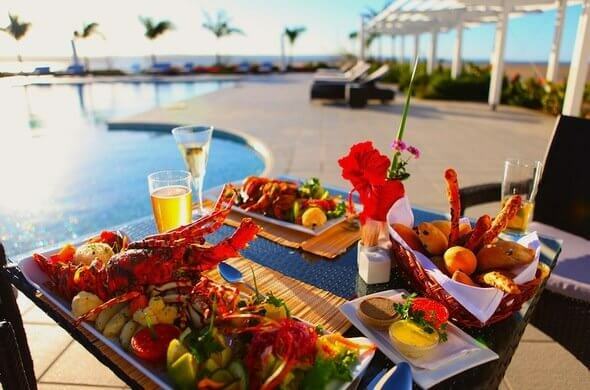 Culinary holidays in Mozambique are dining symposiums really. Big emphasis is placed on meal times in every region of the country. Decadent seafood, drenched in all kinds of exotic, home baked breads and sweet toffee deserts made from scratch are common eateries. Aside from the widely served coffee and tea, adults may enjoy locally brewed beer made from maize. The beer is a thick and sweet drink and is often drunk from a common pot and shared by everyone present on special occasions.